Welcome to my Southwestern Advantage Review! This company we're going to review is the oldest Multi-Level Marketing company among the rest of those I encountered. On top of that, it's one with of a few companies that accept independent contractors for free and simply focuses on sales revenues than recruitment. 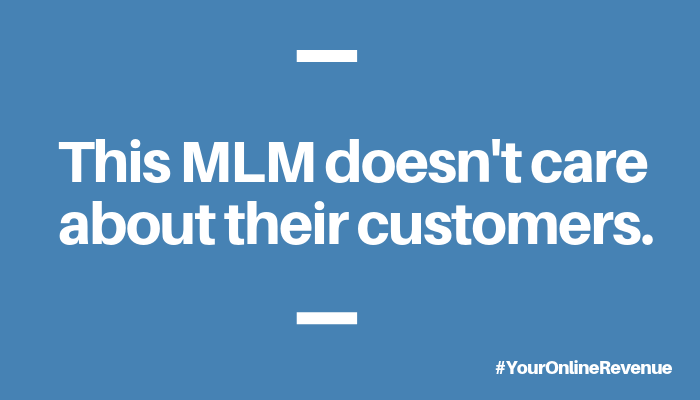 Though these contractors are allowed to create their own downlines, this network marketing company doesn't require them to do that. That said, there is an interesting opposition between the structure whether it's a direct sales company or a Multi-Level Marketing company or both? Since you are here, I want to congratulate you for having the time to research and learn more about the potential business opportunity you want to do this year. With that said, I want to welcome you with open arms as I give you a better option for that as well. Download the Ultimate Make Money Online Guide for FREE and learn how you can make use of your potential as you start to build your own business. Now, we're all set. Let's dig into the post. Shall we? Best for: College students, preferably a university student, seeking job internship opportunities to the test the waters in the realm of the corporate world to give their selves an edge to the job they desired. This is done through learning how to sell different products provided to them to an area where they are assigned to do so. 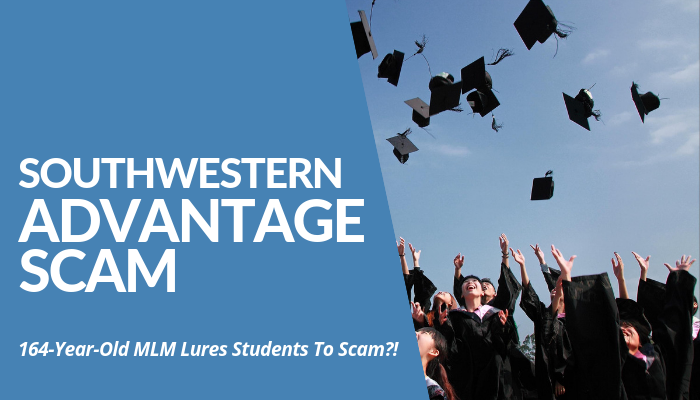 Summary: Southwestern Advantage is a network marketing company noted for their aggressive tactics to lure aspiring university students to join the company in exchange for profits. Due to human trafficking concerns, this MLM has been banned from most of the university union premises. Is Southwestern Advantage Recommended? No. How To Make Money With Southwestern Advantage? Southwestern Advantage Review - What Other People Say About Them? Southwestern Advantage [UGLY] Truths Unveiled! What Did I Like About Southwestern Advantage (So Far...)? Southwestern Advantage is a Multi-Level Marketing company that's offering a seasonal internship for the university students to sell any of the company's products. Be it software, educational books, and among others. Hired as independent contractors, the youth goes on the hunt in search for their prospective clients by doing door-to-door to sell their items on hand. The program lasts for only 1 week. Due to the reported poor working conditions and financial difficulties, the students chose not to mind these issues and rather continue to sell, mostly in suburban and rural areas. That said, many citizens in the US and in the UK raised their concerns for these students, clueless of the exploitation ongoing for the sake of earning money. This is because the money they earn don't usually compensate for the expenses they made from the travel, accommodation, and other personal needs. Because the company won't spend a dime for these, except receiving shares from their sales revenue. On top of that, they work twice the working hour-limit stipulated in the Fair Labor Standards Act in which apparently this network marketing company tries to avoid to discuss and care about. Due to the controversy that Southwestern Advantage brought to the business industry, there are some states in the US, who took the initiative to solidify the call to stop these door-to-door selling tactics. 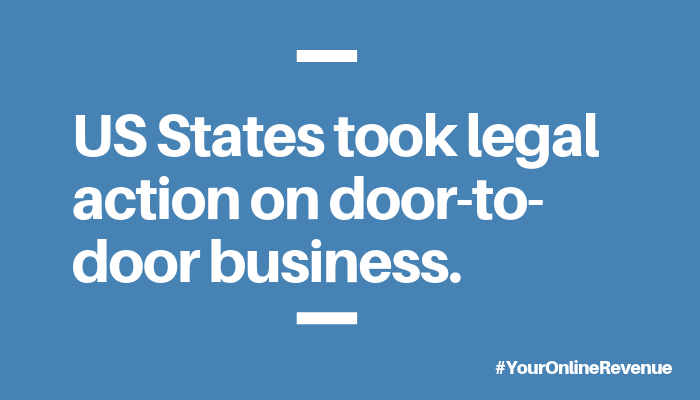 According to a report, the stated implemented a law just last year in which they specified the time for the peddlers to visit homes to invite or promote a product door-to-door. This is to save these young university students from this frustrating method of doing business. With that said, it obviously affects Southwestern Advantage independent contractors to do their usual business. "[Southwestern Advantage] raised a 'threat of legal action against the city' to change their ordinance from Minnesota and Nebraska are set to come to Montgomery next week for their summer gigs," the report mentioned. Further, the most notable MLM activity they do is to sell educational books during a limited time, mostly summer period. Trey Campbell, a director of communications for Southwestern Advantage, responded to the state's actions. The company accepted its legal action to the threat wholeheartedly. That is with a guarantee they won't do anything that brings harm to the students, as long as they can do their business during the working hours. What this network marketing company offers to their target market is simple. To sell products like anything a student can sell door-to-door. Most of the time, they promote educational materials for each home at any time of the day. 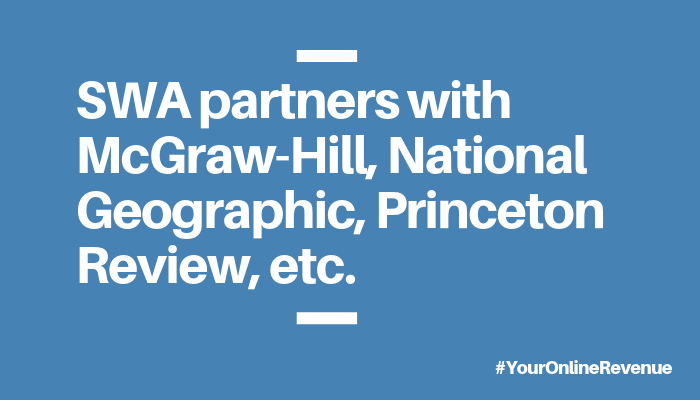 Their product partners include McGraw-Hill, Princeton Review, and National Geographic. Hence, the educational materials they sell come from either of these companies. Given, they provide job opportunities by hiring them as independent contractors rather than employees. That alone is a red flag. The company can fire you anytime if conditions aren’t met. The young peddlers won’t get any financial benefits as working as a regular employee, but working experience. On top of that, Southwestern Advantage won’t provide anything to finance the students’ travel costs and other expenses needed on their stay. Why do they need these expenses in selling their products in the first place? They are assigned to a specific location. With that said, it’s obvious they need to spend their living costs from their own pockets and strive harder to compensate for the money. That drive goes on until working more or less 70 hours per week to make sure they could get enough money before they call it a day. However, it’s apparent to the many that door-to-door business strategy is one of the most frustrating and the most difficult tactic existing versus earning money online. If you’re curious about this venture, Roope’s friend, Jerry Huang, is a 21-year-old and a university dropout to pursue his business. That’s one example of the young people who chose to build their online empire by using the proven and legitimate 4-step strategy to earn money more than this MLM can provide. If you want to know about it, download your FREE copy of the Ultimate Make Money Online Guide and get started now. 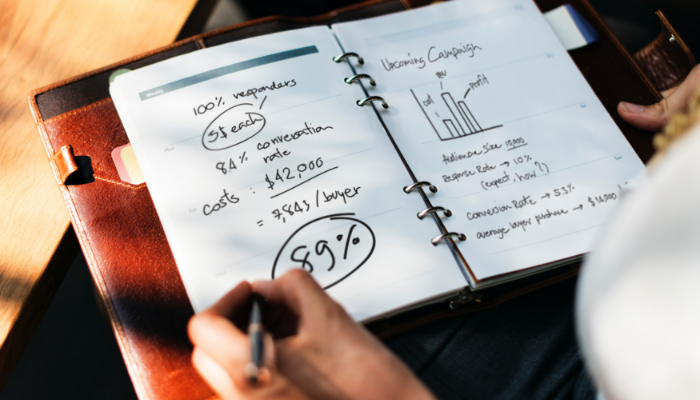 Unlike a typical network marketing company with a definite compensation plan in accord to their rank or sales volume, Southwestern Advantage independent contractors don’t have that. Their revenues depend on their sales in the entire internship interim, including the deductions and living expenses they need for the whole duration. If they aren’t selling products, the young students could end up working as an intern in an office job with an hourly rate. Hence, most of the students end up broke. Yet, to them, what matters most is the job experience in which is useful during job applications after they graduate college. In order to make money with Southwestern University, you need to become one of their independent contractors by signing up. Once you successfully register, they will give you the products to sell in a specific area assigned. Your sole income stream is by increasing your sales revenue by making sure you gain profits from the products sold. I saw on Better Business Bureau’s (BBB) records they have been an accredited business since 1961 with an outstanding customer rating. That alone is a proof many people adhered to their mission of providing job internship for the university students albeit the controversy it brought to many of the universities in 2 countries. Over the years, there are only 91 complaints received although they started their business in more than 50 years. That's far too less to cause a stir the communities. Probably, that's only because it's online and we wouldn't know how aggressive their tactics are in person. As curious as I was, I dug into these reviews one by one and realized the problem tackled the same thing. Refund. Many of the reviews wrote dissatisfactory remarks to the young salesmen who immediately signed the customers up on the site without even asking if they would subscribe or not. The majority of the reviewers mentioned they're surprised Southwestern Advantage has been charging them a minimum of $20 per month and up to $500 without knowing it. Even if they tried to contact the salesmen or any of the persons from Southwestern Advantage, they couldn't reach them out. Until now, none of them received a resolution to these problems. As for the intern's perspective, one of the former sales representatives wrote on Glassdoor how disappointed he was with working with the company. According to him, he claimed this MLM won't compensate them for the losses made while on the work. This supported the previous claim I mentioned earlier. "There are no benefits at all. What you make on the bookfield is your only financial benefit. Not everyone makes money and they don't compensate you for losses. It's not for the lazy!" he wrote. On the brighter side, many of them gave positive feedback regarding the incentives they received including the flexibility of the working hours and how they can make use of their summer earning money, as well as international trips abroad and other bonuses. The more I researched about this company, the more I see SeneGence, a skincare MLM, in them. How? It’s because no matter what they do to protect their business and grow, their negative reputation earned across the US and the UK highlighted more in the eyes of the non-members. BBB recorded 91 complaints and the majority of them tackled their inability to respond to their customer’s concerns regarding their issues with the books they received from them. If you encountered losses along the way, it’s not their problem. It’s yours, apparently. What Southwestern Advantage cares is your sales revenue and that’s it. If you spent a lot more money than expected upon your stay, it’s your own concern. This is why there are independent contractors who don’t care about their customer’s welfare, given their awful situation to sell more for the sake of earning money. Because of their bad reputation of recruiting university students in need for a summer job, many of the universities across the 2 countries took action of banning them from entering the school premises since the 1970s. However, Southwestern Advantage simply shrugged it off and continued doing their thing until today. This MLM encourages independent contractors to work more than 70 hours per week, more than the limit working hours for students, unfortunately. 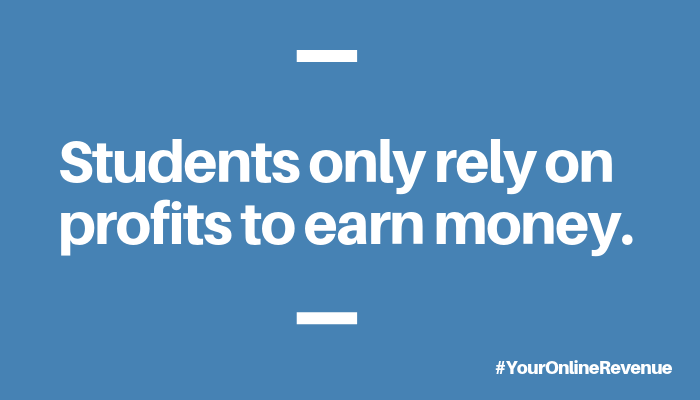 Apart from that, not all students cover their living expenses from their revenue alone. If that happens, what do you think will happen to these young people? 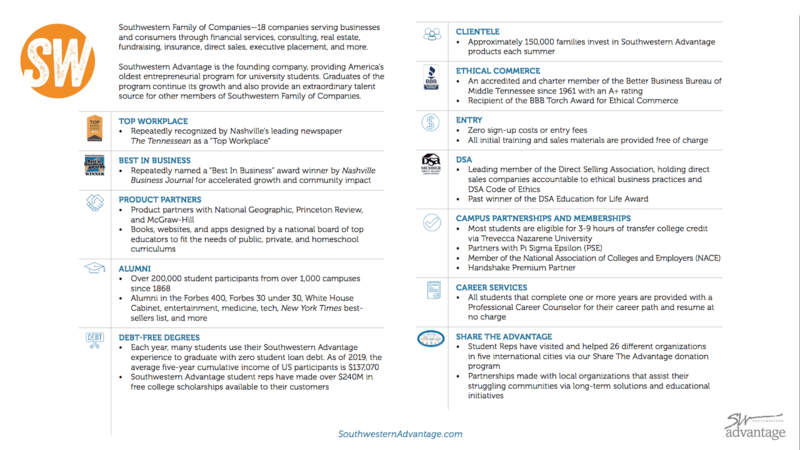 Basically, the only thing I liked about Southwestern Advantage is their mission to help more university students to learn more business skills and give them a competitive edge over the rest of the “academically excellent” individuals. 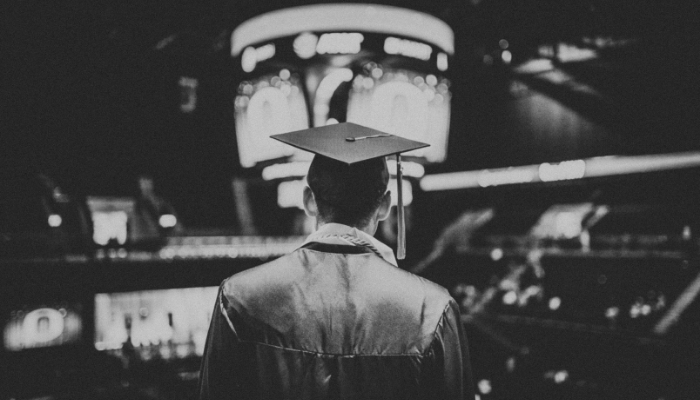 To them, they discourage the societal norm of having only the smart ones get hired and rush to graduate college thinking the fastest way to get a job is being young. In their perspective, many employers don’t care about the age as long as you have the competence they required or needed for the job they’re offering. And even if you’re the smartest or the youngest applicant in the group, as long as you don’t have the skill set they’re looking for, you won’t get hired. Because of that, they provided an income generating opportunity and spend your entire summer working by selling educational materials door-to-door to make sure you earn money while you’re either off from school or not at the time. Instead of wasting your time binging on Netflix, you earn more money while you’re taking advantage of being young. 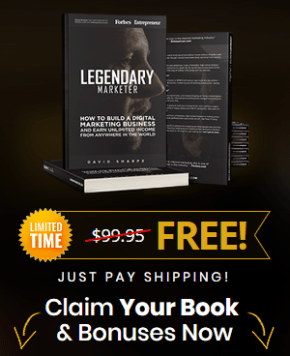 If you want to start your business and earn more passive income than this, it’s best to download your FREE copy of the Ultimate Make Money Online Guide and learn how to build a better reputation and earn more online influence by helping others. If Southwestern Advantage is a scam, they wouldn’t have existed today. Probably, they already closed their doors a century ago. But it’s not the case. That means this MLM is a legitimate company with real products to sell by means of recruiting more independent contractors and earn a percentage of their sales revenue. This is how the company survived all through the years. Albeit the great intention of providing job and money-making opportunities for the young people, it’s sad to say they got a countless number of negative reviews adding to their bad reputation earned more than a century, almost 2 centuries since they started this company in 1855. Many of the customers have their bank accounts charged although they haven’t subscribed to the products these contractors offered. In as much as they wanted these out from their expenses by reaching out any of Southwestern Advantage customer support, they couldn’t. Because nobody’s there to respond to them. On top of that, many communities as Montgomery took a legal action to prevent these contractors, which they called young peddlers, to come in and do their business. Though the company shrugged it off as they did with the university ban, it’s clear many of the residents got sick with these door-to-door business deals coming in. Doing a door-to-door business is one of the most difficult and probably the most frustrating type of strategy anyone could do. 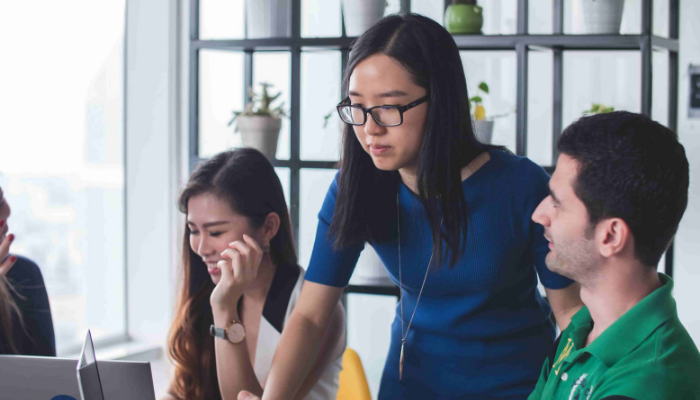 Although we’re already in modern times, wherein most of the businesses are done online, there are still many young people delving into this for the sake of making money. Certainly, they rather spend their entire summer in search for customers to buy their products on hand and learn from that experience. Yet, as human as we are, they also need to satisfy their physiological needs by means of having comfortable working conditions, which doesn’t happen to most of them. 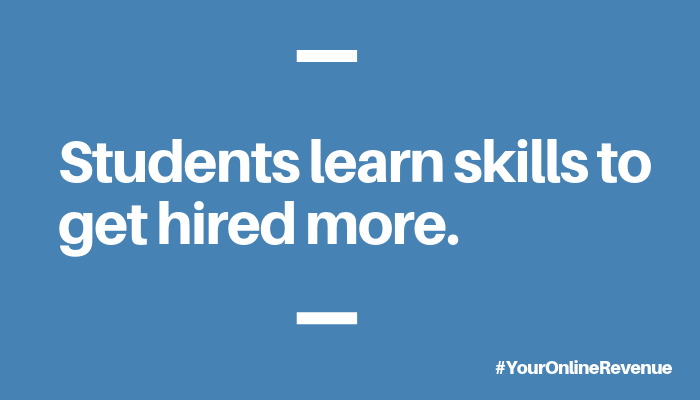 You have more opportunities for earning online even if you’re still a student. 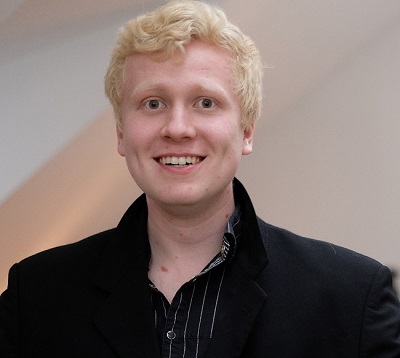 Roope “Robert” Kiuttu started Your Online Revenue Ltd when he’s 21 and now, 4 years later, he’s enjoying the successful lifestyle as 13 others who have the same experience. Through the 4-step proven and legitimate strategy, he managed to earn $5,000 in 1 week. There’s one mom who earned $4,000 after months of hard work in building her own online business. If these young guys can do it, so can you. Grab your FREE copy of the Ultimate Make Money Online Guide. Roope wrote this 9,000+ words for several days for you to download and get started. Now that I have shared my thoughts in my “Southwestern Advantage Scam” review, it’s time to turn the tables and ask your thoughts about the post. What kinds of experiences do you have by selling educational materials as a Southwestern Advantage independent contractor? Is it worth your time, money, and effort? 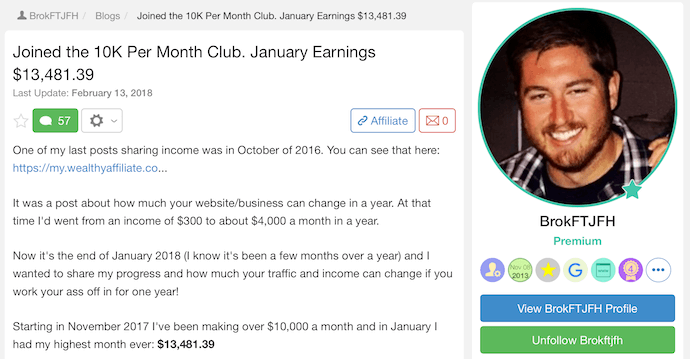 Do you prefer to begin earning your first passive income through affiliate marketing or you rather invest your time in these opportunities like this one? Do the same when you have suggestions to add for this post. That’d be much appreciated as well. 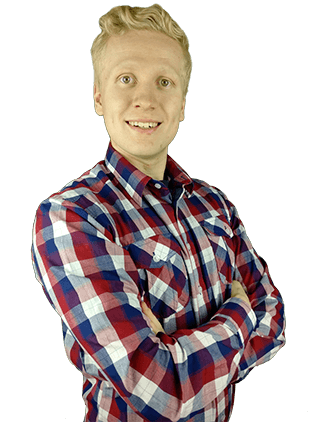 On the other hand, if you feel like you want to learn more about Roope’s step-by-step formula to make money online, leave a comment and he'll be happy to help you out with your business starter concerns. You can go to any of his posts and leave a comment. He’ll review it and respond to you the soonest.